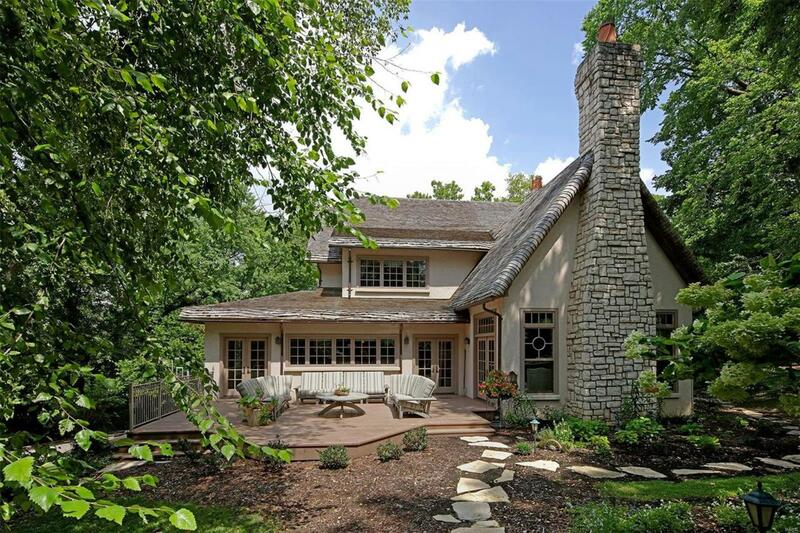 With a most exclusive address & location, this architect designed home built in the late 20th century blends old world sensibility w both modern & repurposed materials. 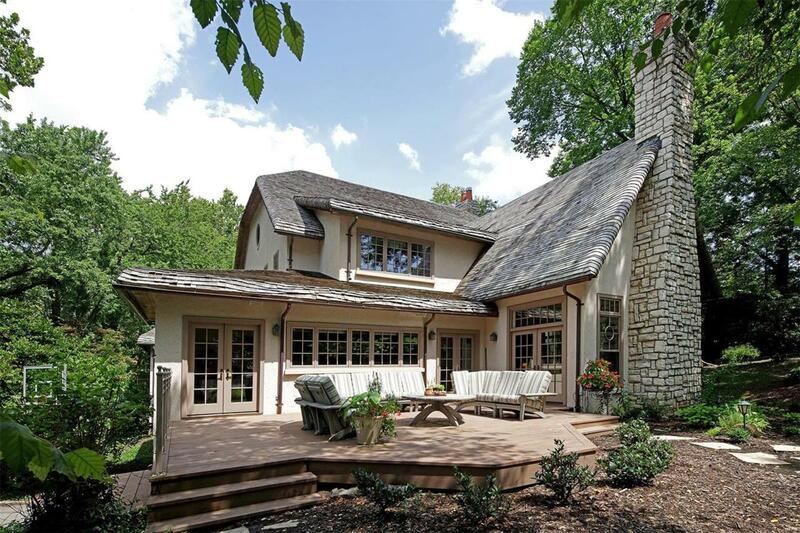 Think, updated cotswold cottage, while reflecting elements of the iconic mission style. Sensible & dramatic details include custom hewned & paneled drs, special artistic windows, wood flrs, craftsman staircase & millwork, & 1 of a kind charm. The simple lines welcome any type of furnishing or dcor. Stepdown living rm w stone firplace, large dining rm w box bay & spacious custom equipped gourmet kitchen w huge breakfast rm. Dramatic yet comfortable family rm serves as a vaulted retreat, complete w a 2nd frplce & restful view of the spectacular lot. Main flr master suite w lrge luxurious bath, private library, terrace & his/hers closets. 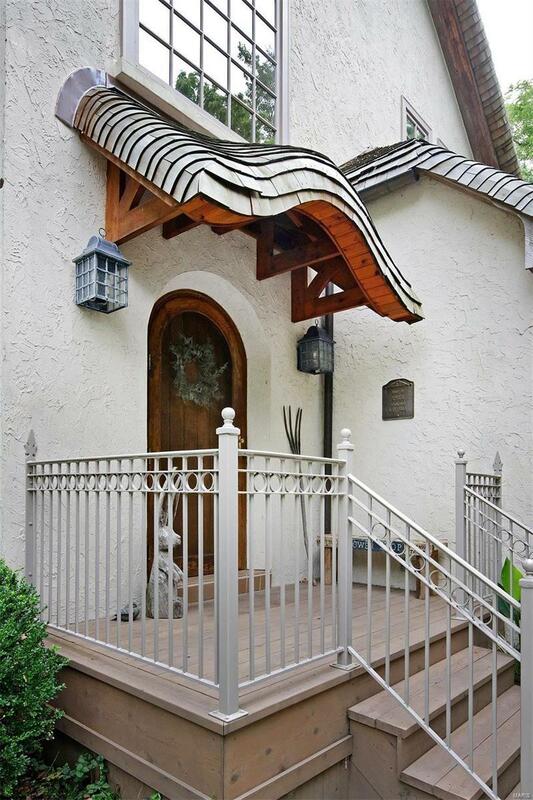 Delightful 2nd flr w 4 additional bdrms offering dormered ceilings. Simply so many details, you just have to wander inside & take it in! 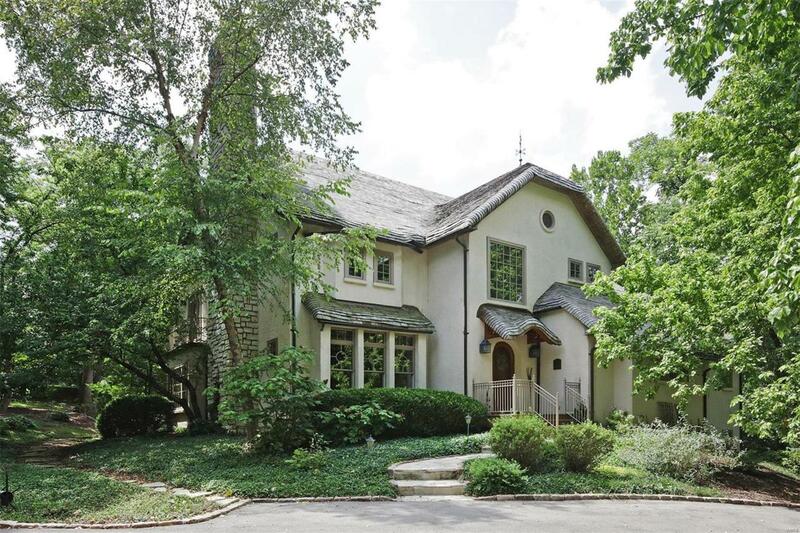 This one owner home is truly a hidden treasure!